Our 18 inch Indoor High Impact Acrylic Convex Mirror comes with a telescopic mounting bracket and is 20% brighter than glass convex mirrors. 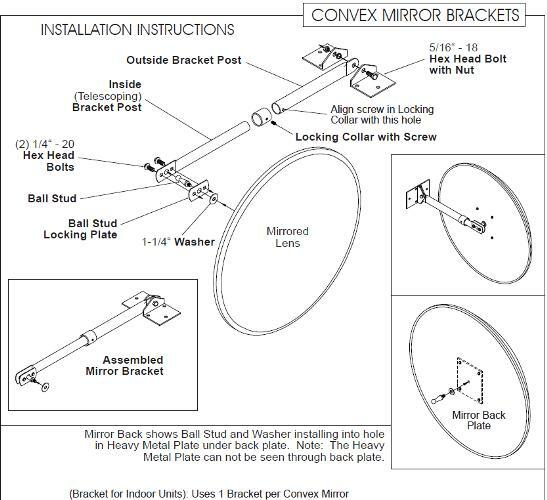 This convex mirror is meant to be indoors in your store, hallway, warehouse or other area where additional visibility is needed. 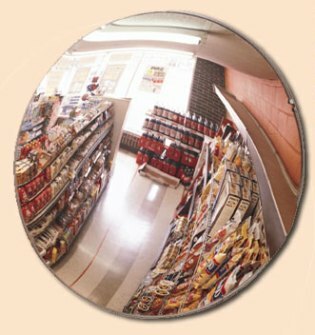 Stop pilferage and shoplifting, add visibility to store aisles and blind spots and reduce collisions with our safety convex mirrors. Lightweight. Fadeproof. Each inch of mirror gives you approx one foot of viewing space. Go to top of this 18 inch Indoor High Impact Acrylic Convex Mirror page.